> Candidate should have worked on Dotnet / C# / Java platform. > Web services experience is a must. > Mandatory database is SQL . > Nice to have experience working on enterprise project. > Candidates should be open to work in UK shift. If interested, please share your resume to arsrivastava@ciber.com with Total exp, Notice period, CTC, ECTC. Company Name :Hexaware Technologies Ltd.
> Should have experience in Agile Methodologies. Company Name :Sixt R&D Pvt Ltd.
> Strong backend debugging, troubleshooting, problem solving and analytical skills. > Comfortable using standard UNIX utilities. > 5+ years hands on experience testing cloud-based applications. > Significant experience using Agile Scrum development processes. > Excellent analytical and technical skill – ability to apply multiple solutions to business problems; ability to review, synthesize, and present scientific data and methods. Company Name : Maple Software Pvt. Ltd.
> Ability to Create the testcase and executing the testcase and test strategy, test scenarios. > Developing test plans for others, assuring high quality across a group. > Should have minimum 3 – 4 years of experience in Automation Testing. > Functional Automation.Experience in White Box Testing will be an added advantage. > Ability to lead other testers is a plus. > Should have hands-on experience in BDD / Behavior-Driven Development framework like Cucumber, JBehave. > Ability to define, understand or conduct cross-browser and usability testing. > Hands on experience on performing functional/Non-Functional testing on Mobile applications. > Must have an experience in test automation framework such as Selenium, APPIUM etc. 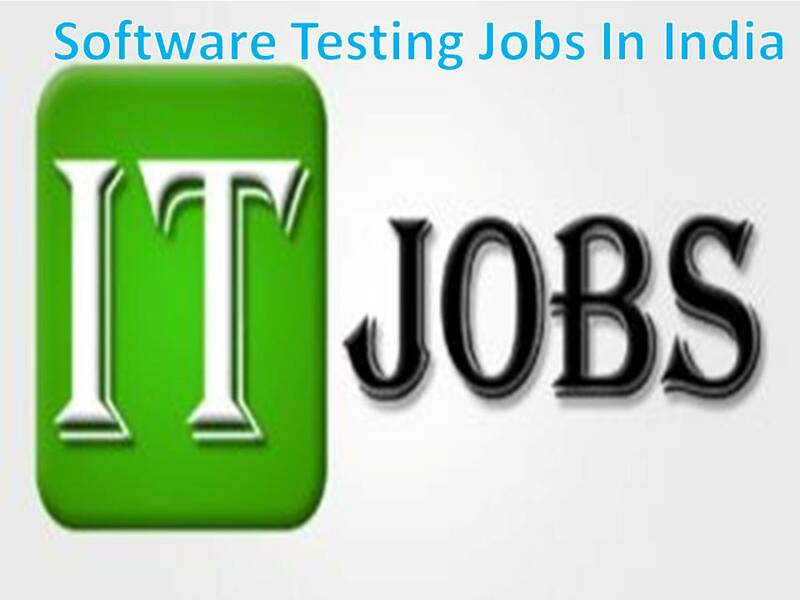 > Software Testing openings for Fresher & Experienced with our clients in manual and automation testing. > Work with functional teams to analyze and identify test cases, identify test data requirement. > Support development of Test Plans and Test Strategies. Provide inputs where needed. > Hands on experience using using tools such as Selenium web driver with Java, TestNG, Maven, cucumber framework, Jenkins for CI, Soap UI for API testing. > Execute scripts developed for applications in multiple browsers (CBT) and platforms. > Experience of development of selenium framework from scratch. > Experience in Continuous Integration and Automation frameworks. > BDD Automation testing frameworks (like behave, cucumber, etc. > Programming in python (or similar language). > Hands on Experience in Automation and Manual TestingCreate and maintain processes of the quality program and provide consulting for software development or operations processes, quality practices. > Good understanding of mobile and web application testing concepts. > Good knowledge of API/Web Services testing. > Exposure to Automation Framework Development using any open source automation tools preferably Appium, Robotium. > Hands-on on UNIX servers. > Good in writing SQL queries and exposure to MySQL DB. > Exposure to Eclipse, JUnit, TestNG, Xcode, Android Studio.